As always, thank you for taking the time to read my Fairy Tale Legacy. From here on out the chapters become more like a story and less like a play by play of the Cinderella Challenge. Missy woke up with a mission to accomplish. Her girls are about to become teenagers and therefore deserve the best party money can buy. Missy spared no expense hiring the best caterer, decorating the house with tons of balloons and flowers, and even paying off some of the school children so they would attend. But for Cindy it is just another day full of chores. Missy has ordered Cindy to stay down in her basement until the party is over, which is fine for Cindy. She is enjoying spending her last few moments of her childhood dancing to the music from an old radio she found under a bunch of boxes. Cindy was having so much fun that she didn’t hear her basement door open. It wasn’t until Cindy heard Lucifur meowing along with the music that she realized the cat was there. Together they danced and sang to their favorite songs. Upstairs the Party of the Century, is turning out to be a real dud. Missy bribed all of the kids in Riverview, but not even half of them showed up. And not only did no one show up for the party, but the bakery messed up the order. Missy had ordered a giant 10 layer chocolate and strawberry cake for each of the girls. But what showed up were two small vanilla cakes. “I’ll have the baker’s head for this!” Missy shouted, taking her frustrations out on the delivery boy. Hearing this Anastasis threw a tantrum and locked herself in her room. 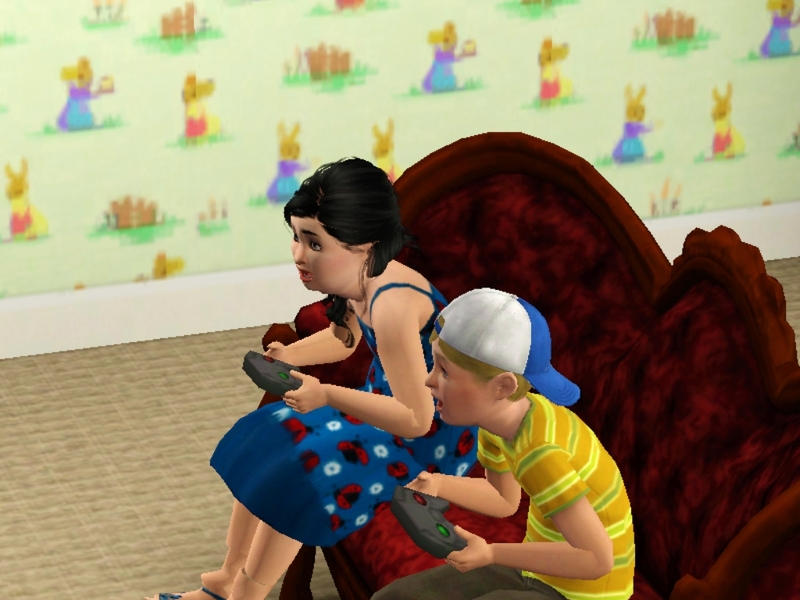 At least Drusella was having fun playing video games with one of the boys who showed up. Cindy has made a cake of her own. Over the last few days she has taken various ingredients from the main kitchen and brought them to her tiny fridge in the basement. 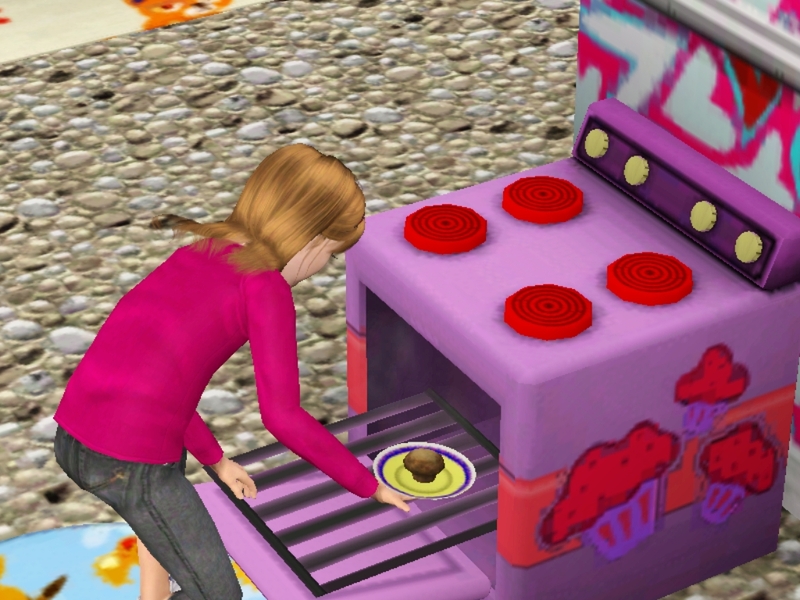 After a while Cindy has collected enough items to make herself a small cupcake with her easy bake oven. Now is the time for the two little Evils to age up into the two teenage Evils. Drusella and Anastasis changed into their formals and took their places to blow out the candles. Missy could only sigh at the pathetic little cakes she had spent her money on. And it wasn’t even about the money. Or the other children. Or even about making sure her daughters had a fun birthday party. For Missy this whole day has been about showing off her money and her status around town. And those small cakes where two symbols of how little the townspeople thought of her. But as for Drusella, cake is cake! 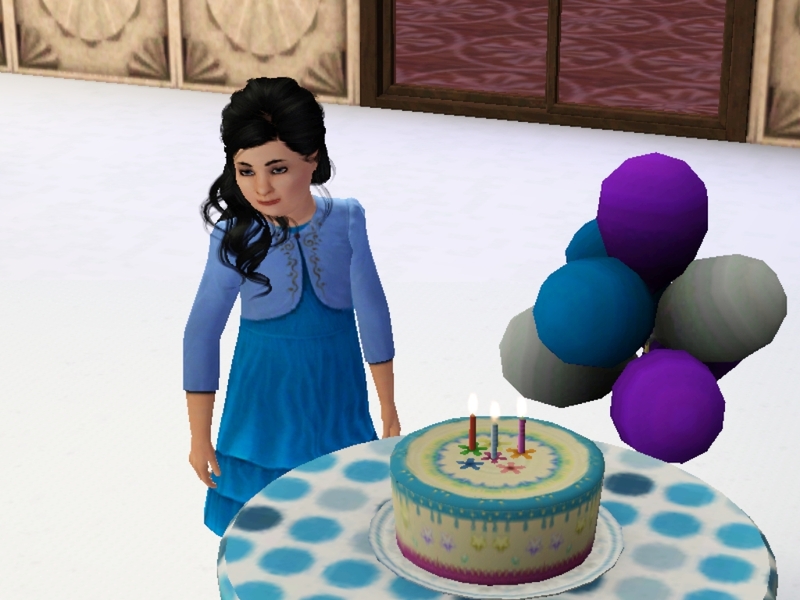 “I wish for some ice cream to go with this cake.” she thought as she blew out the candles. And here she is a teen. 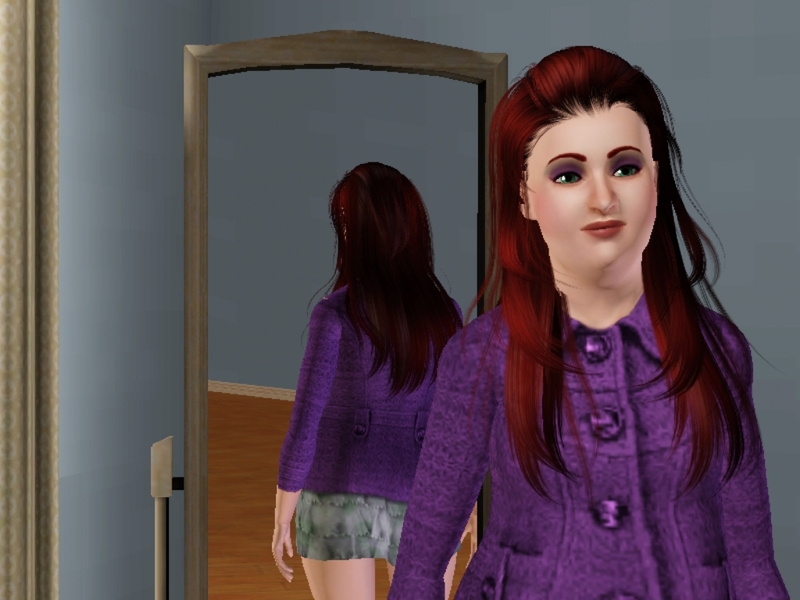 She gained the slob trait, and about 200 pounds! 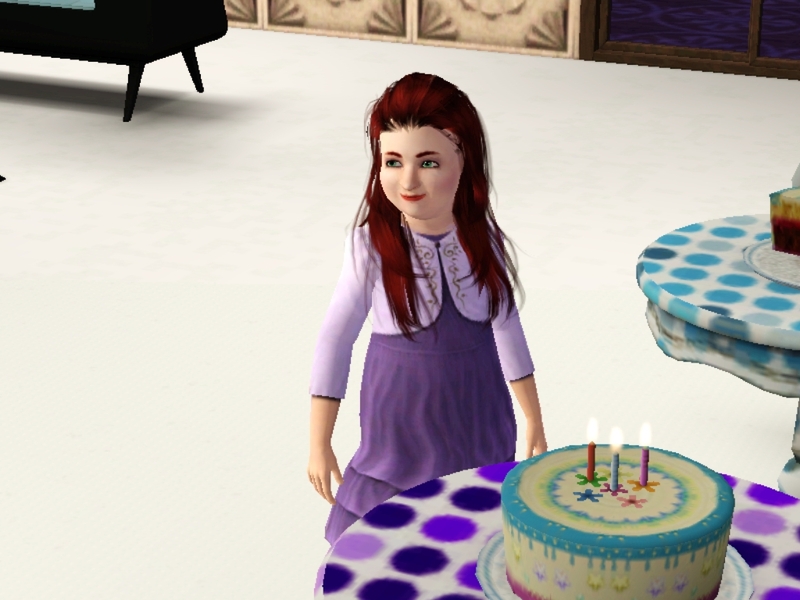 Next was Anastasis’s turn to blow out the candles. And the fact that her party was a flop was not lost on the her. And here is Anastasis as a teen. 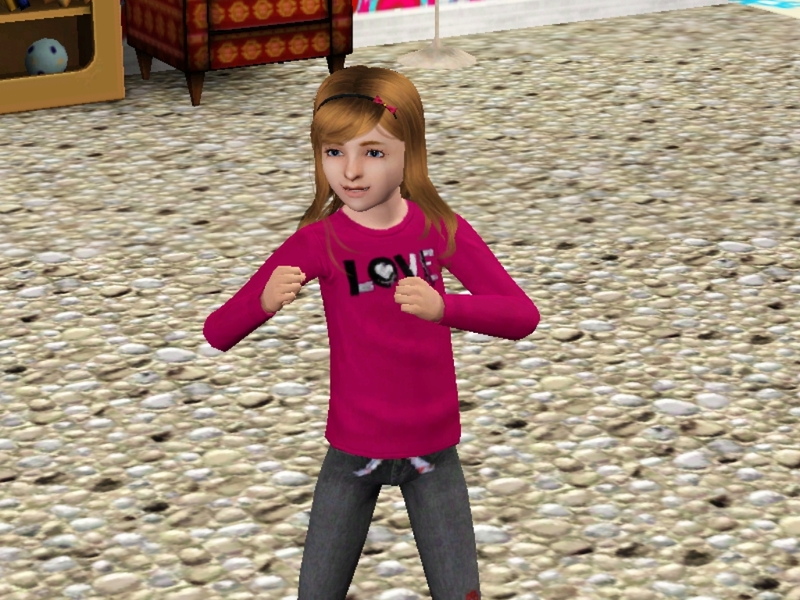 She gained the flirty trait. The boys of Riverview better watch out. After the party was over, the cake eaten, and the other children sent home, Missy ordered Cindy to clean up. She quickly did as she was told. Cindy was at the sink when she felt the warm body of Lucifur rub up against her legs. The cat that every sim thought was evil, who hisses and Anastasis and Drusella, found a friend in Cindy. And now it was as if the cat was wishing Cindy a Happy Birthday. Cindy kissed Lucifur on the forehead before she made her way down to her basement. 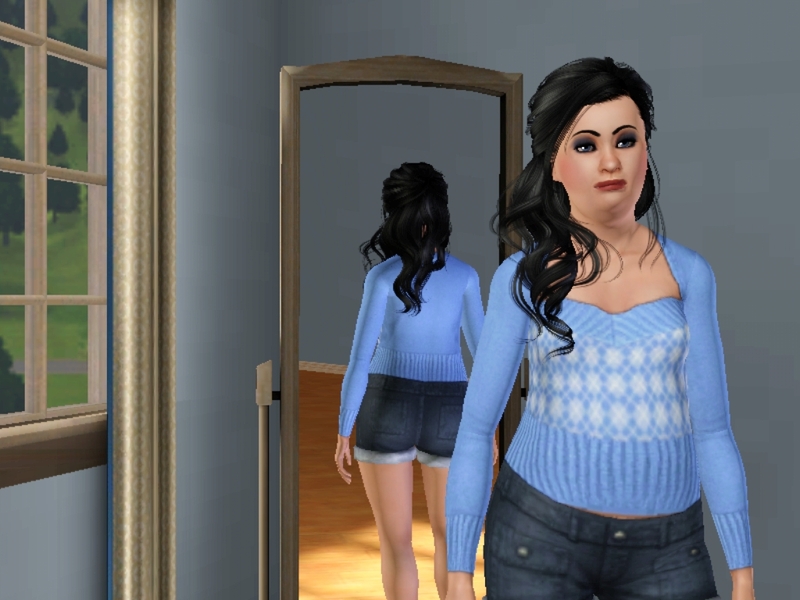 It was there that Cindy aged up into a teenager. All alone, but not forgotten. Another sim out there was thinking about Cindy. Wishing her a Happy Birthday, and planning her visit. And thus ends Sapter 3. 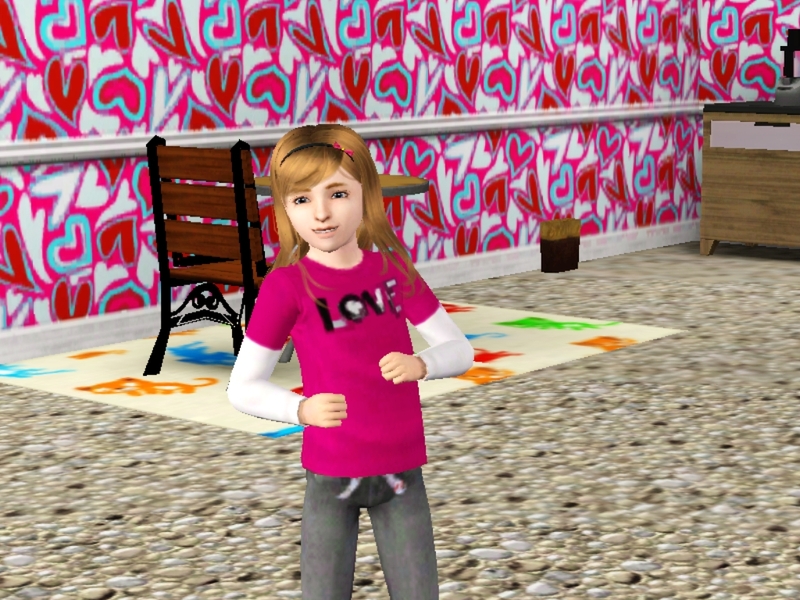 I know it isn’t much of a cliffhanger, but I wanted to wait to show you Cindy as a teen. And to keep you wondering who that other Sm is. As always have a great day, or night depending on when you are reading this. AWWWWW, we didn’t get to see Cindy! Your first cliff hanger as such! Not the most suspenseful cliffhanger in the world, but I tried. I am so glad that you are liking this so far! Can’t wait to see little Cindy she up! They aren’t called ugly step-sisters for nothing.